The United Kingdom will be adding the water-patrolling, submarine-hunting Boeing P-8A Poseidon to its Royal Air Force (RAF) fleet. Following the UK prime minister announcement at the 2016 Farnborough International Air Show, the UK will enhance its maritime patrol capability by signing a P-8A Poseidon maritime patrol aircraft (MPA) declaration with the US, in a move set to strengthen defence relations between the two nations. The deal will see both countries share logistics and support bases, as well as optimise the use of P-8A aircraft, particularly in Europe. The arrangement comes after UK Defence Secretary Sir Michael Fallon agreed to cooperate on MPA operations during his recent visit to Norway, and ensure the UK continues to plays a key role in delivering collective maritime security worldwide. The aircraft will be used for conducting anti-submarine and anti-surface warfare, search-and-rescue operations, as well as intelligence gathering. The UK will take delivery of the first Boeing P-8A Poseidon MPA in 2019. This declaration is further evidence of how our two countries continue to cooperate and build mutual security, particularly in the North Atlantic region. The nine purchased P-8A Poseidon MPA will be based at RAF Lossiemouth, Scotland. Procurement of the MPA is expected to create more than 400 jobs at RAF Lossiemouth. 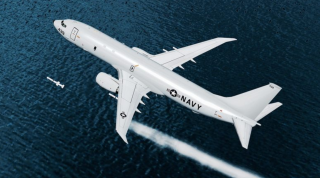 Recently also Norway announced its plans to order five P-8A Poseidon maritime patrol planes to maintain its surveillance capacity and meet future security challenges. Norway plans to acquire the P-8A Poseidon ($1.15 billion) to monitor the country’s oceans and offer allied civil and military authorities as a basis for decisions with the use of new modern sensors and weapons. The new Poseidon patrol planes will help Norway maintain its surveillance capacity as the country’s maritime border with Russia has become a renewed focus even if ministerial statements did not specifically mention Russia. The submarine-hunting patrol planes will replace Norway’s current fleet of six P-3 Orion and three DA-20 Jet Falcon aircraft and are expected to be delivered in 2021 and 2022.